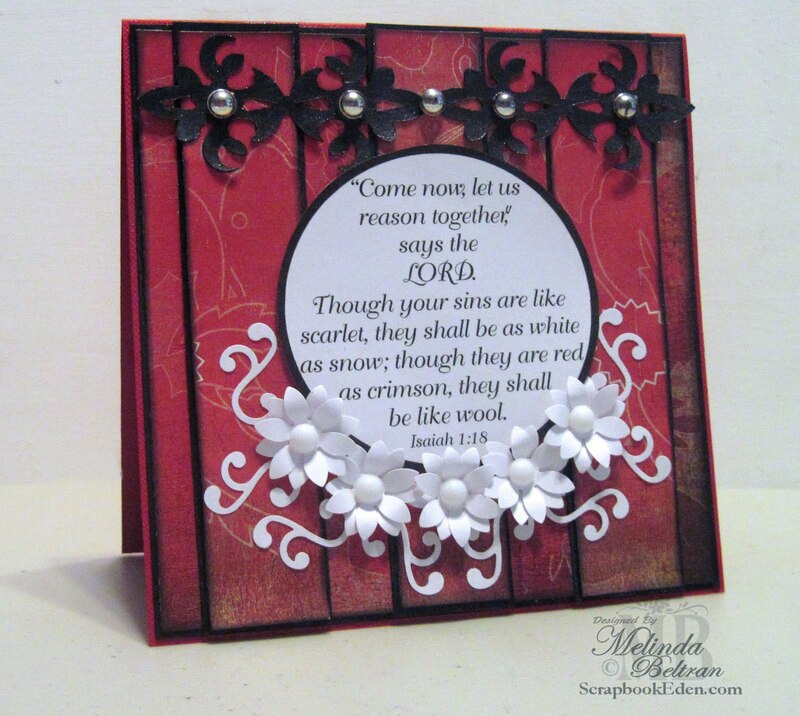 I wanted to share a card I made last night for the Stamping Sisters in Christ Challenge blog. This was for Challenge #44. We had to create a card with no stamped images. So, I created the Digital Sentiment File. I created it in the circle as well as the square. As I thought about this card, the contrast in the black and white elements spoke to me about the contrast in our lives from before Christ and after. I even used "metallic" dew drops to symbolize how steadfast and immovable our sins and habits can seem until the light breaks through. The flowers and flourishes are EK punches. I used my cutter to cut out the flourish bar I created. I did spritz the whole front of the card with Pearl Glimmer Mist. The photo doesn't really show this, but it really is pretty when the light hits it. Hope you enjoy! that is just beautiful! Thanks for sharing. I love the colors. Beautiful design and card! WOWZERS WOWZERS WOWZERS!!!!! Your creations are out of this world!! !